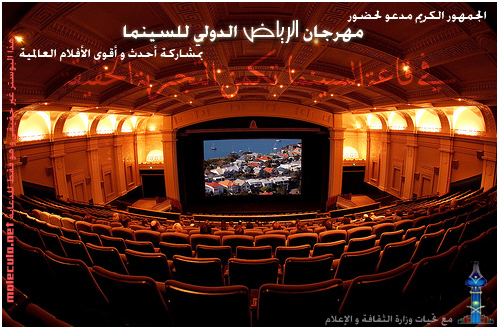 You are invited to Riyadh International Cinema Festival. Live the real experience inside the theater. Jeddah Metro: Commuting has become smarter. 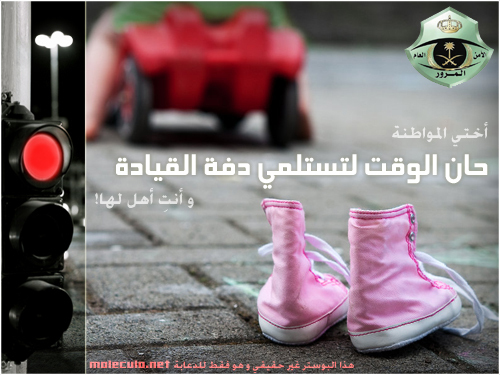 Dear female citizen: It’s time for you to drive. You can do it. Your duty as a citizen is to tell us about any unemployed person. Unemployment has been ended, completely. 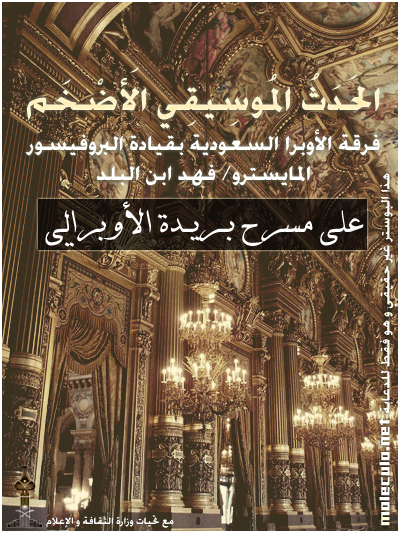 The Grand Musical Event: the Saudi Opera, led by maestro Fahad ibn al-Balad. Now, at Buraida Opera Theatre. Finally, and after many long years of stagnation, Arab News gave their website a redesign. Nothing groundbreaking, but certainly an improvement over their old one which looked like a website from the mid 90’s. True to its nickname, the Green Truth, the new design features the green color heavily, using it for all headlines and links. Although I have to say that the green .com next to the newspaper name is pretty lame and it looks rather outdated. The website also uses more pictures in a much nicer way than the old one. But more importantly, they finally introduce RSS, but the feeds are not full so you will have to visit the website to read the articles. I guess it will be interesting to watch their policy when it comes to comments. Is it going to be like al-Arabyia’s ‘everything goes’ policy, or something like al-Watan’s which its editor Jamal Khashoggi recently bragged that he employs ten girls whose their sole job is to monitor comments. But back to the redesign itself, it will be inevitable to compare it to the other English daily in the country, Saudi Gazette, which has also gone through a redesign last year. While Saudi Gazette uses a solution developed by the local company SmartInfo, which Fouad al-Farhan recently sold, Arab News uses Escenic, a CMS developed by a Norwegian company that was also used for the website of al-Majalla. However, when compared to other regional and international newspapers, both remain pretty barebones. Nothing out of the ordinary, and nothing that really stands out. It is very obvious that newspapers here are still approaching the web with their old mentality. Except for al-Riyadh, which has a very good team of local smart developers, none of these newspapers think of their websites as an important part of their service. None of them has an ‘online newsroom,’ and none of them think of their websites as a new medium where they can build a community where they can engage their readers in ways print cannot do. I believe that the local internet scene is still lacking on many levels, and there are many opportunities to create excellent Saudi content especially in Arabic. The attempts that we have seen so far in this field are very weak and leave much to be desired. I have been thinking about this a lot lately, and I have some ideas that I’m working on, so if you are interested please get in touch. There are more female bloggers in Saudi Arabia than any other Arab country. We can probably argue over the reasons, but one of the reasons imho is that in the time that real life in the country poses many restrictions on women, the internet is offering an outlet for them where they can express themselves and show their colors to the world but also maintain a certain level of privacy and protection. Girls are not only using blogs to speak their minds, but also to showcase their talents, and even use these talents to make money. I have previously posted about iNouf’s laptop sleeves, and last week I came across another interesting example. 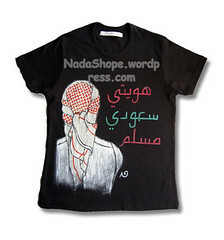 Welcome to Nada e-Shop, where brush + colors + t-shirt = drawn by hand, not printed artwork turned into business. Nada al-Mughaidi has graduated from the College of Education in Jubail, but her dream as a child was to become a cartoonist. She started drawing on t-shirts for her family and friends, who encouraged her to start a custom t-shirt business. In May 2008, Nada launched her blog and started taking orders. The blog also includes pages for rules, FAQs, and prices. She is based in Dammam, east of the country, but she shipping is available to any place inside and outside the Kingdom. What I really like is that every design is only produced once, so you will get a t-shirt like no other. 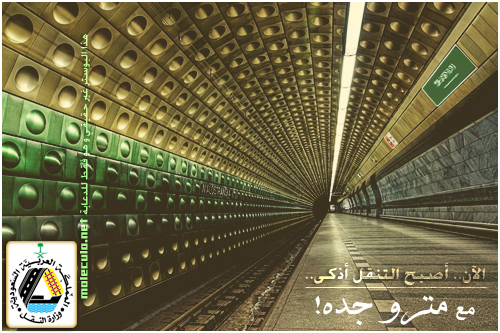 The blog is in Arabic, but you can check out samples from Nada’s designs on her Flickr page.